A CHOBHAM man is among five who have been sentenced to more than 12 years’ punishment following a cash machine raid at Mercedes-Benz World. 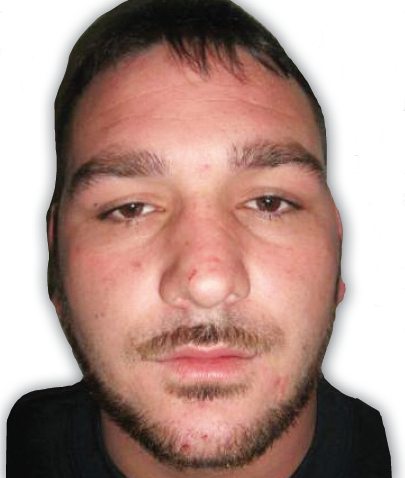 Jimmy Loveridge, 22, of Chertsey Road, Chobham; Clinton Bowen, 33, of Caledonian Road, Matson, Gloucestershire; Scott Liddiard, 44, of Moors Avenue, Cheltenham, Gloucestershire; John Cooper, 42, of London Road, Ruscombe, Reading; and Ben Eastwood, 22, of Stock Lane, Ingatestone, Essex were sentenced at Guildford Crown Court on Friday (May 22). They had earlier pleaded guilty to charges of burglary at the same court. 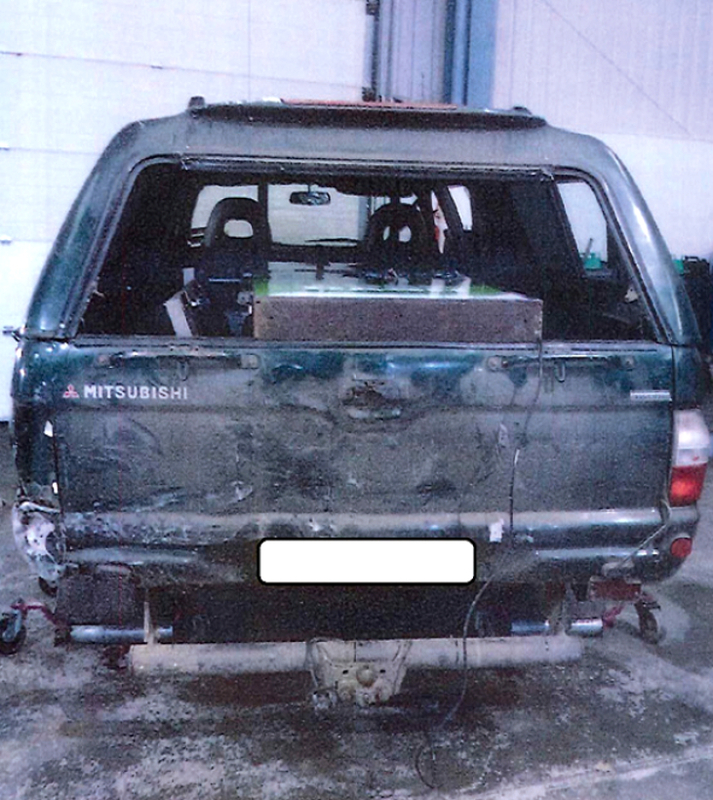 The theft took place on December 16 last year at 11.30pm when a Mitsubishi pickup was driven through the glass-fronted entrance to Mercedes-Benz World in Brooklands Road. 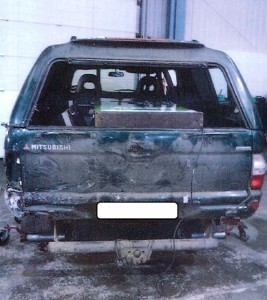 The group then loaded a standalone cash machine into the vehicle and drove off. 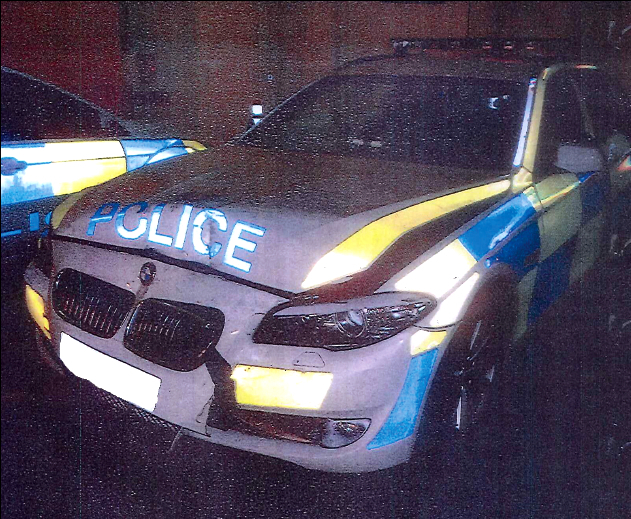 Officers from Surrey’s Roads Policing Unit heard about the incident over their radio and spotted the Mitsubishi near Bracknell on Nine Mile Ride later that night. During their pursuit the Mitsubishi stopped in the road and reversed into the front of the police vehicle, causing significant damage. The chase was called off as the danger to the officers increased. However, the National Police Air Service helicopter was deployed and helped locate the offenders in the Finchampstead Road area of Wokingham, where it then guided officers on the ground to the men. Liddiard and Loveridge were found hiding in a garden shed; Eastwood and Cooper and were discovered in different rear gardens, while Bowen was separately charged and pleaded guilty to criminal damage. He had used a paving slab to smash through a patio door as he attempted to hide from officers in a property in Holewood Close. Four of the men gave no-comment interviews, while Cooper provided a prepared statement detailing how he was in the area visiting friends. He then gave no comment after officers told him he had been recorded on video running away from the Mitsubishi. Detective Chief Inspector Jake Nuttall from Staines CID said: “This was a highly dangerous incident which forced our officers to take incredibly decisive and brave actions to protect the public and themselves while pursuing the offenders. “The Roads Policing Officer, who was pursuing the vehicle, stayed calm and showed impeccable professionalism when he came under attack. Importantly, he recognised when it was no longer safe to pursue the vehicle on his own. Bowen was given four years and eight months’ imprisonment; Liddiard and Loveridge both 40 months; Cooper two years; and Eastwood received a two-year suspended sentence and 180 hours of unpaid work.